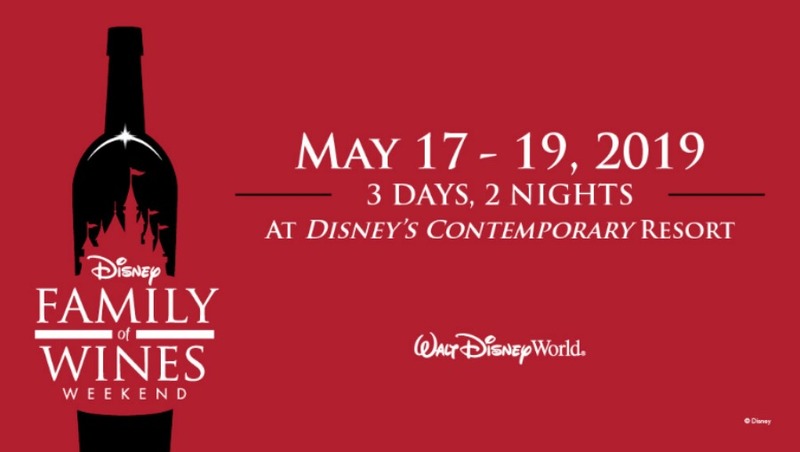 The Disney Family of Wines Weekend is set for May 17 – 19, 2019 and offers guests the chance to enjoy an “intimate and adventurous getaway.” This special weekend was put together for those whose passion for wine is as genuine as their love for Disney. At the event, guests can explore various flavors with a collection of curated wines produced by winemakers and wineries that have a special connection to Disney. Chardonnay’s Expression throughout California – This seminar will be an exploration and education on several Chardonnay’s from our Family of Wines. You will identify flavor profiles and taste wines from three distinct regions of California (Santa Barbara County, Sonoma County, Carneros). Presenters will describe the winemaking experience and how that process affects the flavor of the wine. Seed to Table and Secrets of Flavor – Ingredients are the foundation of fine cooking and winemaking. Learn more about what goes into growing the finest ingredients including food grown here at Walt Disney World exclusively for this weekend experience. Also, you’ll discover a New World of Flavor through a hands-on Sensory Experience. Fully develop and understand your palette through a series of tastings that include the finest ingredients from the Chef’s kitchen. Wine Wonders and American Artisanal Cheese – A unique approach to cheese making and wine appreciation. Participants will hear about the history and art of cheesemaking while tasting highly acclaimed boutique cheeses produced in the same regions as the wines paired with them. You will hear how ingredients from the same land create a connection that is recognizable in the flavors. Culinary Adventure – A hands-on, interactive cooking experience that takes place in the unique Contemporary Catering Kitchen. Participants hand roll sushi, create pasta; “break down” a beef tenderloin; handcraft fromage blanc and learn the secrets of the professional pastry chef. This 5-course event is paired with the Disney Family of Wines. Gala Dinner & Fireworks – This special evening will include a one-of-a-kind six-course menu designed for this gathering. Once again hosted by our culinary and wine “celebrities” our guests will enjoy these featured wines artfully paired with each course with details about the production of these wines from vine to table. The event includes a pre-reception and concludes with a dessert reception and private fireworks viewing. This package is available to guests age 21 and older with valid proof of age. Theme park admission is not required to attend events and is not included in this package. Advance reservations are required by May 3, 2019, and can be made by calling (407) 939-4239.